We walked along the Alum Cliffs Track from Taronga Rd to the mouth of Browns River at Kingston, where we wound-up the club's activities for the year with a barbeque. 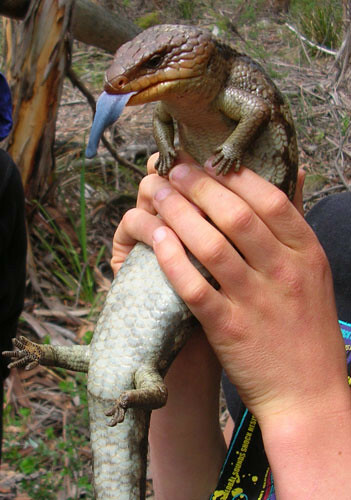 One of our first sightings was this huge 40cm Blue-tongue lizard. 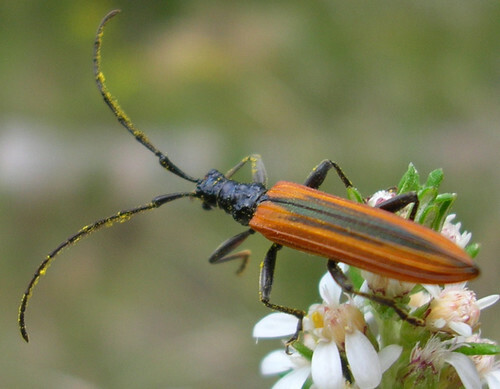 Stenoderus suturalis (Cerambycidae), a longicorn beetle. 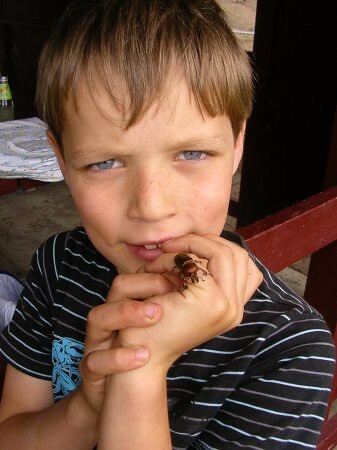 We came upon a wasp and Huntsman spider fighting. 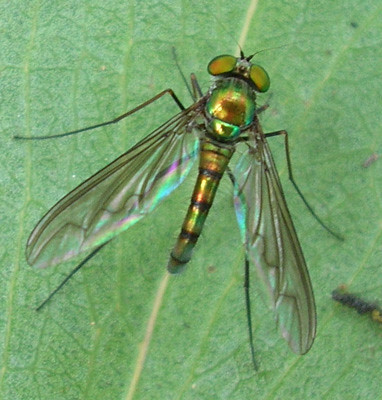 The wasp (Auplopus sp.) quickly won, and proceeded to neatly lop off all the spider's legs, before dragging away the body. 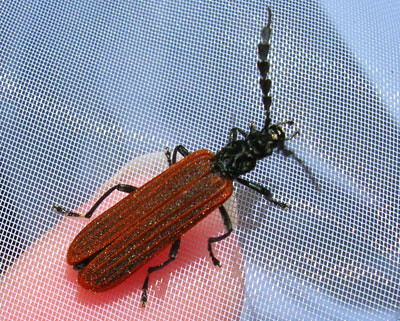 Pseudolycus rufipennis beetle (Oedemeridae), which mimics the toxic Lycid beetle Porrostoma rhipidius, to reduce its likelihood of being eaten. 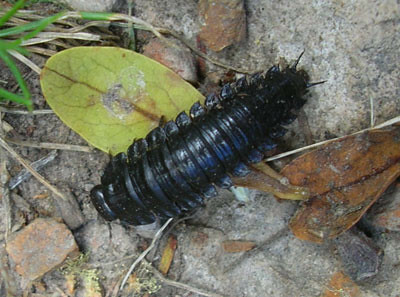 Carrion beetle larva Ptomaphila lacrymosa (Silphidae) which feeds on maggots. 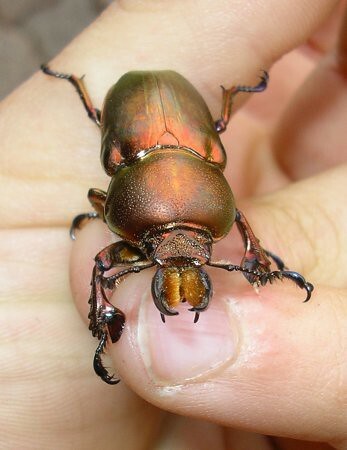 in rotting logs. 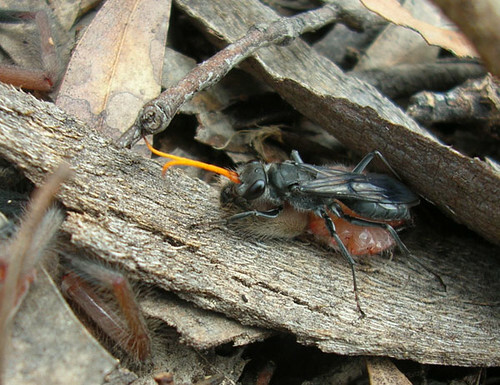 Lamprima species, however, eat eucalypt leaves and can sometimes defoliate trees.